The package from Atomic Kavemen arrived with eager anticipation. Rock t-shirts offer another way for musicians to express originality and present an opportunity to interact with fans. Naturally, Atomic Kavemen did not disappoint. 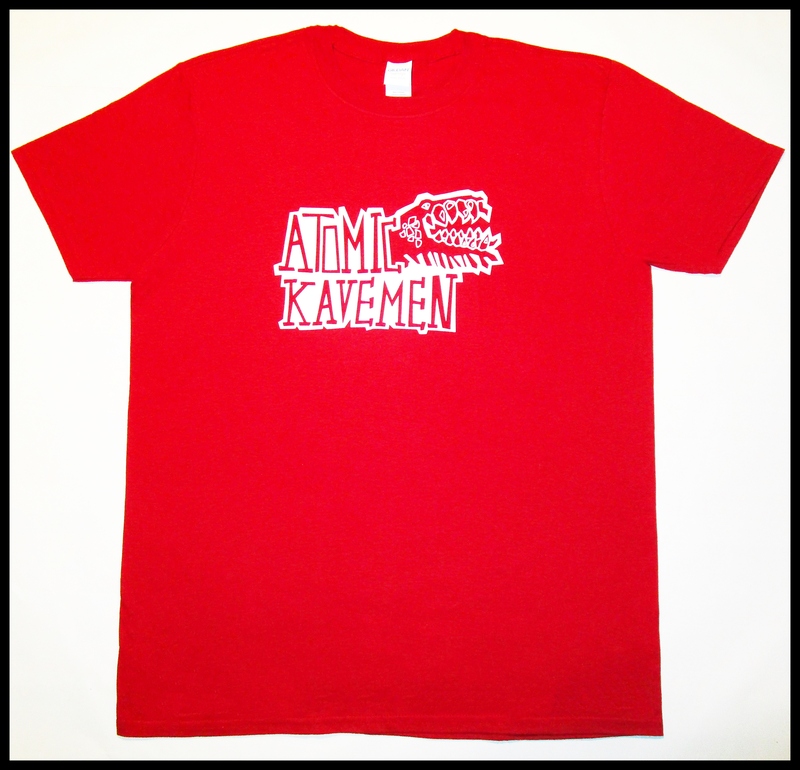 In addition, the Kavemen shirt’s nuclear-prehistoric symbol, set against what we like to call radioactive red, suits the band well. Enthusiasts are encouraged to check out the merch tab on the artist’s music site, including the group’s black logo t-shirt. The AK tee we received is comfortable and easy to wear. But as always, music is the main message. Atomic Kavemen’s self-titled debut album, released Dec. 30, 2018, contains several notable cuts, including “Slam Hammer,” “Shining” and “Gunshot,” to name three. For comparison, among others, early Danzig comes to mind. The music is powerful, the vocals are strong. Call the songs hard rock, grunge, punk, or anything else because the Oakland-based group has developed a loyal following. The Bay area has long been a rich source of independent music and Atomic Kavemen is yet another example. 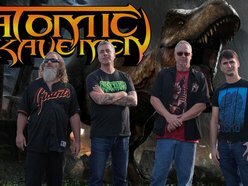 The Atomic Kavemen lineup is Morey Strouse – vocals; James Kilpatrick – drums; George Keenan – guitar; and Todd Solimon – bass. 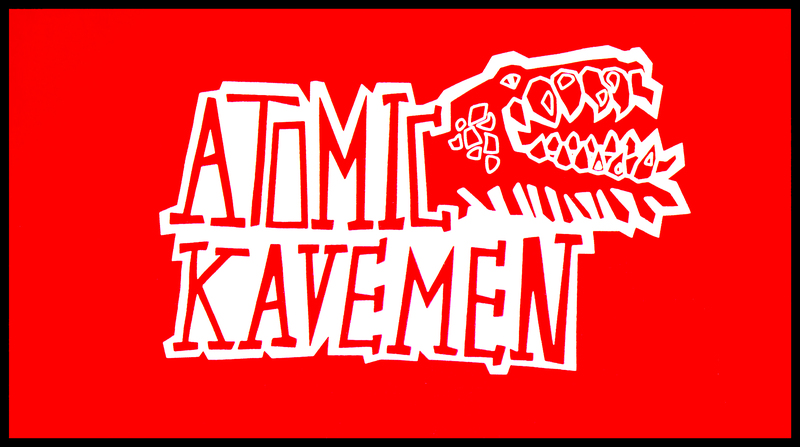 Atomic Kavemen is a Metal Coffee PR band. For more information, visit Atomic Kavemen.